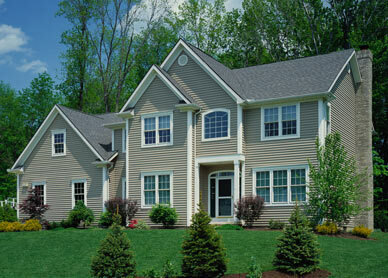 Beautiful, durable, energy-efficient siding for your Louisiana home. If you’re looking to save on energy bills and feel comfortable in your home’s temperature year-round, allow us to introduce you to Prodigy Vinyl Siding, which is known for its premium 1-1/2″ thick insulation which delivers unparalleled resistance to heat flow. Its finely milled cedar grain panel increases your home’s curb appeal with its 16′ 8″ extended length design, which gives your home a modern flair. Prodigy’s high-performance insulation is form-fit to adhere to the outer panel for enduring strength, with no tearing or rattling, even in extreme winds. Its extensive color palette and on-trend decorative trim and accessories make Prodigy a top choice for those looking to add panache to their home’s exterior. 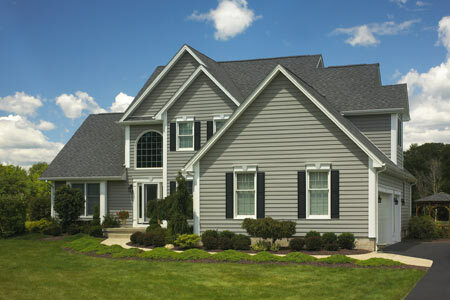 Insulated siding improves the energy efficiency of wall systems. Vinyl is lightweight, so less energy is consumed during transportation compared to other, heavier materials. Vinyl siding provides outstanding economic performance when evaluating costs associated with life-cycle stages, from raw material to waste management. Information from the National Association of Home Builders (NAHB) indicates vinyl siding should last a lifetime, therefore it will not need to be replaced, reducing the need for new materials. For maximum energy efficiency, a quieter living space and optimal in-home temperatures, choose Charter Oak Energy Elite insulated vinyl siding. Charter Oak Energy Elite’s contoured foam underlayment performs in extreme weather conditions, blocks outside noise and keeps your home’s temperature right where you want it. For long lasting durability that will increase the value of your home, look no further than Charter Oak®. You will love how it combines authentic wood beauty with durability, performance and zero maintenance. Alside’s exclusive TriBeam Design gives Charter Oak, Charter Oak XL and Charter Oak XXL superior rigidity, while a double-thick nail hem enables it to withstand Category 5 hurricane-force winds. What color are you looking for? The Charter Oak color palette makes it so easy to choose the style that’s right for your home. 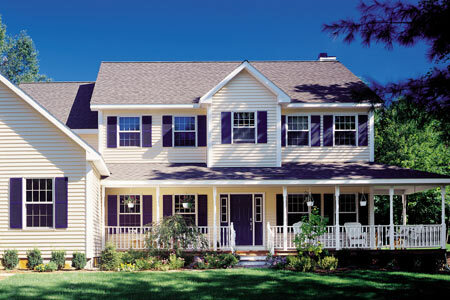 Plus, this collection offers you the largest variety of trim, soffit and accent options available to further customize.